I’ve lived in London for over 30 years and realise I will never know everything (or even close to) about this amazing and vast city I’ve made my home. But it’s good to try, to explore new areas and learn their history – everywhere has its story after all. So today we’re heading West to Chiswick. As the postcode (W4) expresses, Chiswick is a district of West London. The name is said to mean Cheese Farm in Old English as part of the riverside area supposedly supported a cheese fair until the 18th Century. I’m trying to imagine what that would have been like and how those cheeses would have tasted. The area grew into a village from around 1181 where people farmed, fished and were involved in riverside trades including a ferry. The ferry was of great importance as there were no bridges between London Bridge and Kingston in the Middle Ages. Now there are 29 (including railway bridges) – we certainly take crossing the Thames for granted these days! Chiswick even has its place in literature with Thackeray’s Vanity Fair opening at Miss Pinkerton’s Academy for Young Ladies in Chiswick Mall. Lots of important figures have resided here through history, including artist William Hogarth, poet W B Yeats, impressionist Camille Pissarro and novelist E M Forster. And you’ll find plenty of current-day celebs residing in what is a very desirable part of London town to live in. And you don’t even need to depend on the ferry to get you around anymore. Chiswick High Road forms the heart of the area, lined with plenty of bars, restaurants and shops. No 197 Chiswick Fire Station opened here on April 25 this year. 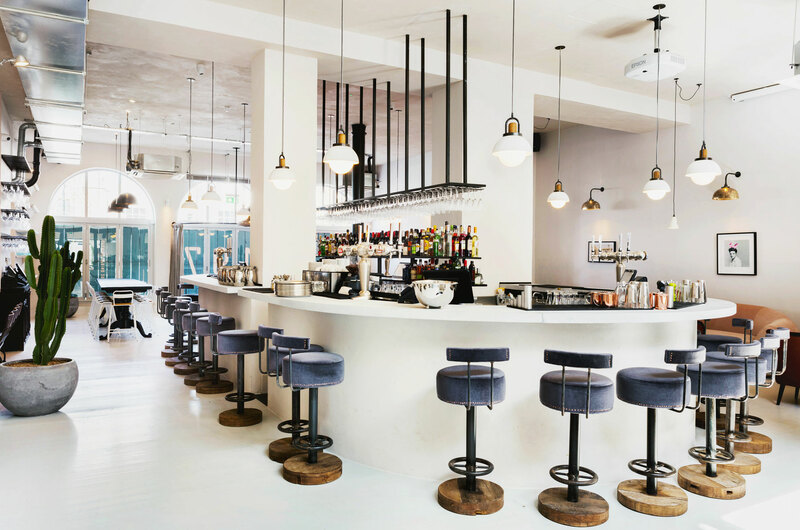 It’s a bright, contemporary, striking room with a stylish central bar and terrace area at the back. It’s open all day for breakfast, brunch, snacks, full-on meals, Sunday roasts or even a coffee or cocktail break. You can eat a la carte or treat the menu more tapas-style, sharing small dishes. Which is what we did. 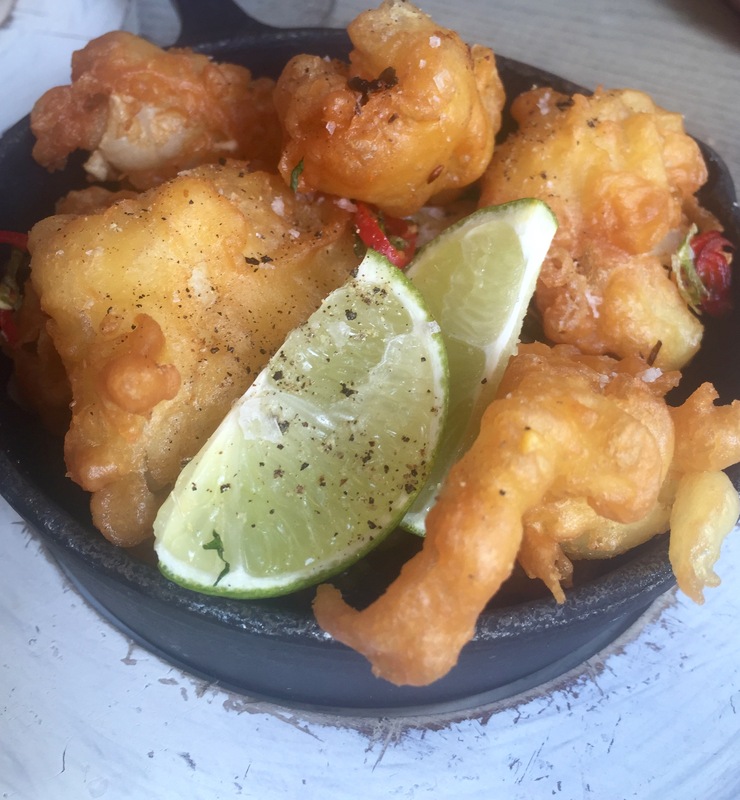 The crispy peppered squid with coriander, spring onion and chilli was wonderful. The lightest and crispiest of batter encasing tender squid pieces. I’m always partial to some bruschetta and there’s a good selection here. 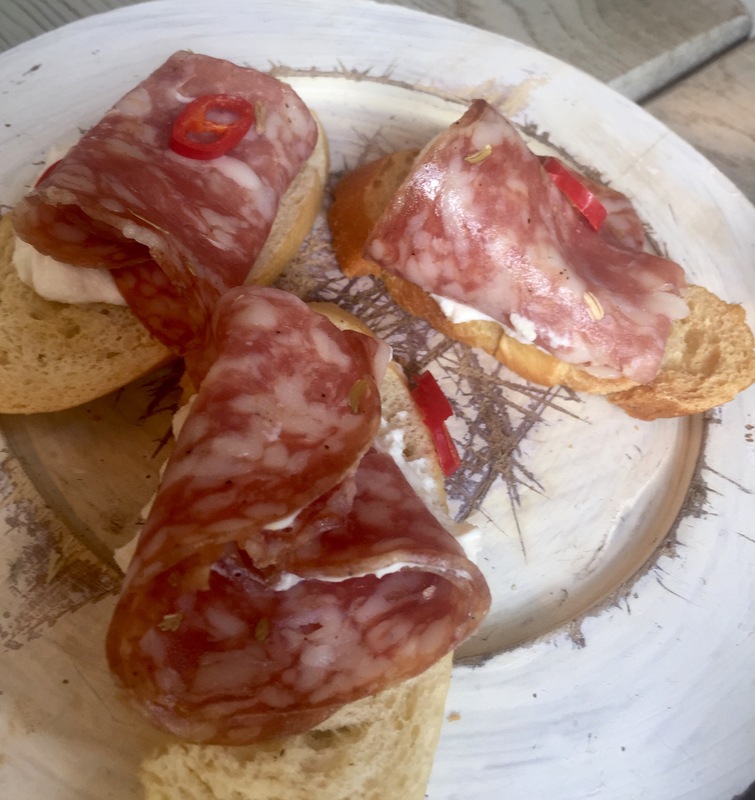 My eyes instantly lit on the fennel salami, chill and truffle ricotta offering. Yum, yum, yum, one of the nicest things I’ve eaten in a while with the combination of the salty, fennel-flavoured salami, the creamy ricotta and the truffle flavours. The best sort of food that’s easy to make because all the hard work has gone into choosing the ingredients carefully. The exotic-sounding croquettes were made of pig’s cheek and black pudding and served with a Granny Smith apple compote. 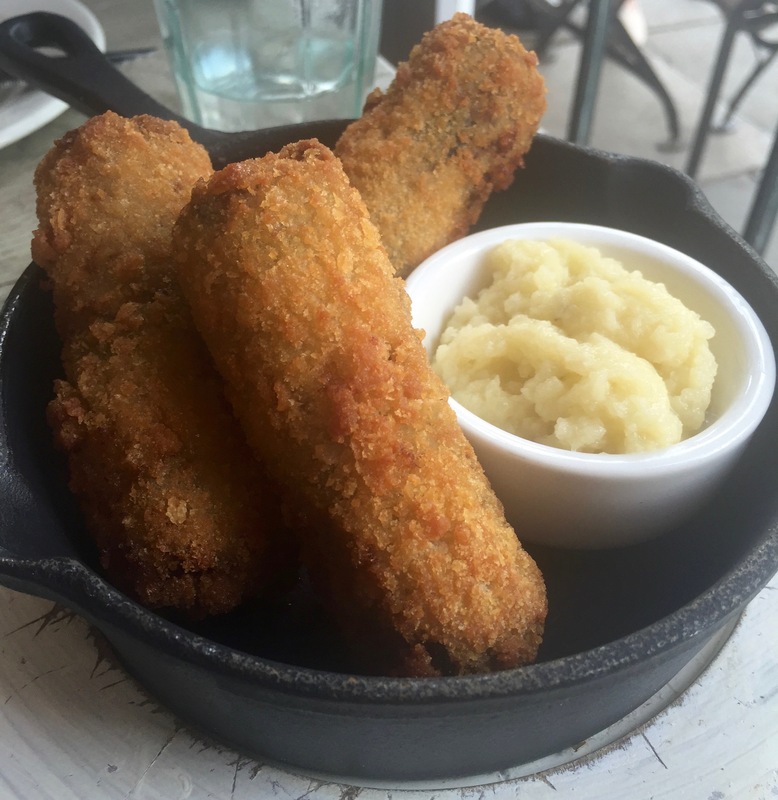 They were substantial croquettes with a rich and luscious filling. 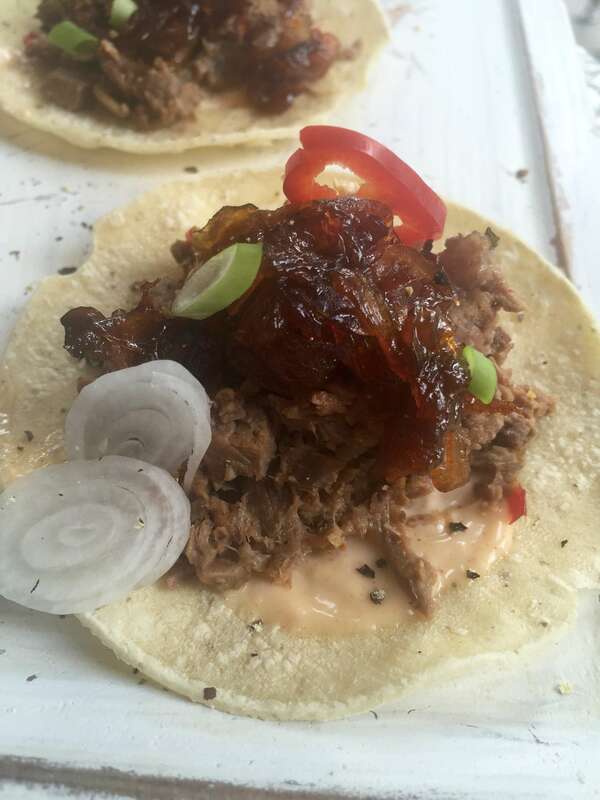 Our final choice (and it was difficult choosing from the lovely selection) were the sticky beef tacos with aioli and spring onion. Soft tacos topped with shredded beef in a sweet, sticky sauce. Lovely morsels that you have to eat with your hands (how I love that). That was our final choice from the small and sharing section. 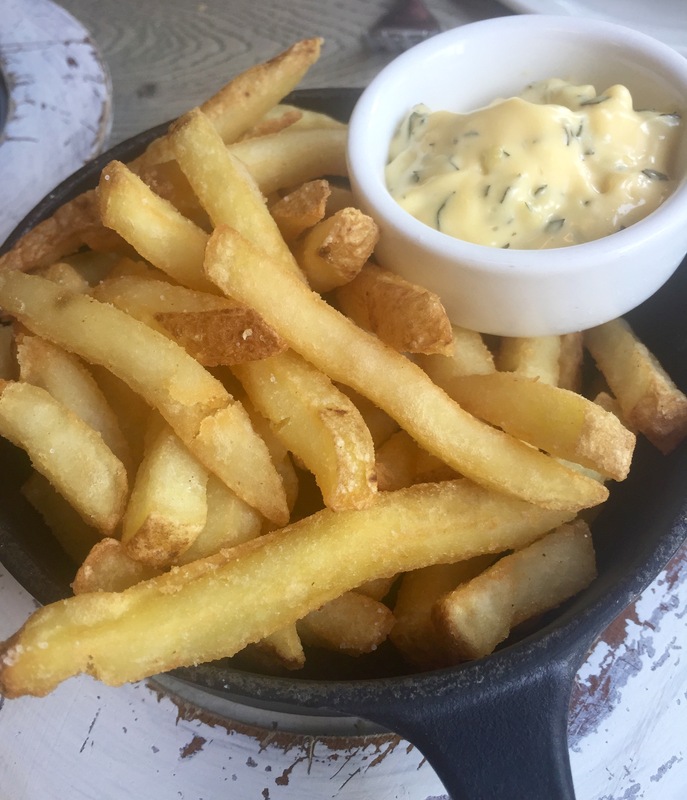 Well, until we added a portion of fries served with Béarnaise sauce (one of my absolute favourites). Side dishes don’t et much better than this – perfect for a wine and chip lunch at the bar (yes, that is a thing!). And here’s the view that greets you as you walk in. A lovely room with a great feel. And the service is friendly and relaxed, too. All of which makes for a thoroughly enjoyable new neighbourhood venue. No 197 Chiswick Fire Station is at 197-199 Chiswick High Road. The nearest station is Turnham Green tube on the District Line which is about a five-minute walk away. Today’s food cost £31.40 (without service) and was more than enough for two people. 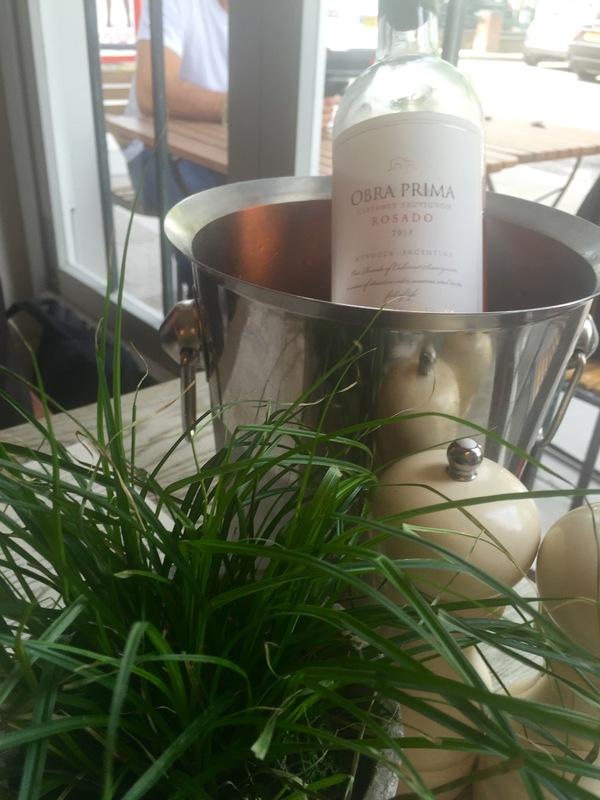 Our bottle of Obra Prima Rose from Mendoza, Argentina cost £22. Mains cost between £10 and £17 each.